I have received over 100 emails asking why I did not include the classic 1931 Universal film, Dracula, with Bela Lugosi, or even the Spanish version filmed at the same time on the same cast. 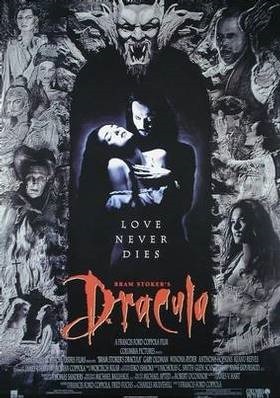 Well, I have reviewed both in the not too distant past (favourable, I might add), and I thought that with the sheer number of Vampire movies, this would be a great opportunity to showcase some different films I have not seen yet (aside from Love at First Bite). And you know what? 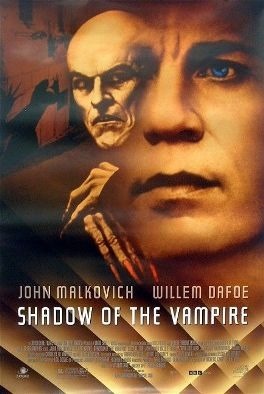 I am glad I did, as I was able to watch 7 great, and different vampire movies. To be honest, I can’t remember the last time I watched seven days worth of good films with a connected theme (aside from Tarantino week). The whole vampire myth has generated so many films that I was tempted to turn this into two weeks of Vampire films. I’m convinced that even with an additional week of movies, I would have managed to avoid watching a turkey of a movie. Yes, with this many movies to choose from, there would be no reason to watch Twilight, or anything like it. Hell, I think a second Vampire Week should be planned! In fact, why don’t you send me your suggestions (good or crappy) for the next Vampire Week. 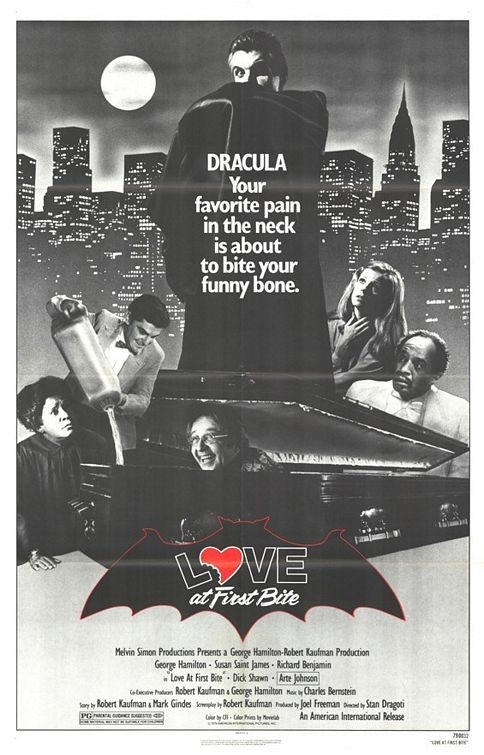 If you like horror parodies like the Scary Movie series, but haven’t seen 1979’s comedic horror classic, Love at First Bite, then you owe it to your self to do so. 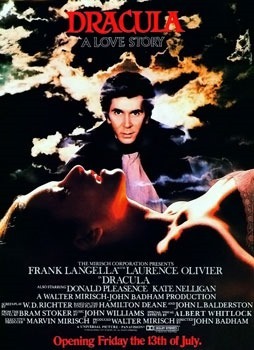 Starring George Hamilton as Count Dracula, who is forced from his home in Transylvania when the communist government decides to take his castle and convert it to a gymnastics training ground. Taking this as an opportunity to meet the woman he believes he is in love with (from afar), model Cindy Sondheim (Susan Saint James). Setting himself and his bungling bug eating servant Renfield (Arte Johnson) in a New York hotel, and goes about trying to meet Cindy. While in the Big Apple, Dracula learns of the wonders of the blood bank (“We are here to make a withdrawal”), and the dangers of drinking the blood of winos among other things. While winning over Cindy is a cinch for the master of persuasion, Count Dracula, he soon finds himself in a silly, on going battle with Cindy’s psychiatrist and non-committal sometimes lover, Jeffrey Rosenberg (Richard Benjamin), Grandson of Dracula’s nemesis, Van Helsing. Fortunately for Dracula, Rosenberg is nowhere near the Vampire hunter his Grandfather was, and his attempts to out or attack Dracula are absolutely hysterical. This is a silly silly movie that I absolutely adore. I have watched this movie many times and will watch it again – It’s just plain fun. I say watch this movie.